We really value the support folk are showing for Scotland’s quality produce. There are so many ways to get involved! 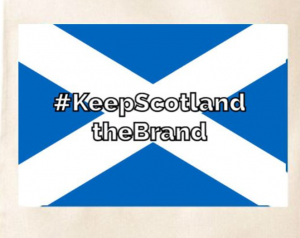 Check out the Keep Scotland the Brand Leaflet Campaign here! You can write to your supermarkets or retailers and ask them to support Scotland’s food and drink industry showing clearly where the produce has come from. This isn’t about adding Saltires where none were before or demanding flags are waved: it’s about ensuring items produced in Scotland are clearly presented as Scottish, both at home and in other nations. The supermarkets also could think about supporting the provenance of food and drink from elsewhere too: Welsh, Northern Irish, and English farmers are keen not to lose their brand identity either! This is not a boycott campaign. Buy those carrots if you wish but why not take a photo of the packaging and share it on social media, ask the supermarket #keepScotlandtheBrand? If you want to go and spread the word outside your local shop or market, maybe hand out a few badges, that’s great! Please don’t hesitate to contact us if you think we help you get a clear idea of the campaign message or are looking for some more stats and facts. If you have bags or badges available to the public and are asking for suggested donations to cover your costs, please be ready to let folk know where any money will be going if they ask. 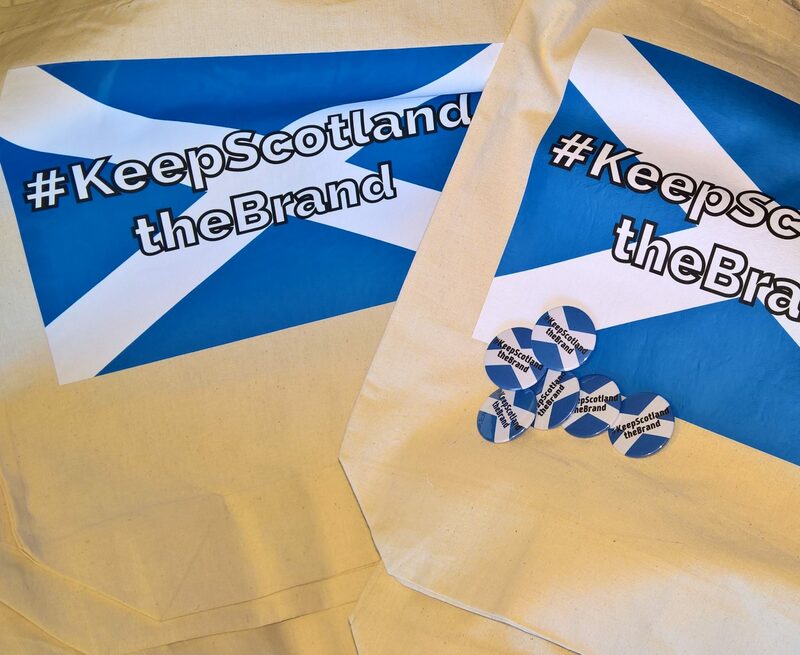 Keep Scotland the Brand does not have any overheads and does not fundraise for itself. All work carried out by the campaign team is done on an entirely voluntary basis. The campaign headquarters is a kitchen in Kirriemuir. You may see me or my colleagues out with badges or tote bags near the local farmers’ market. 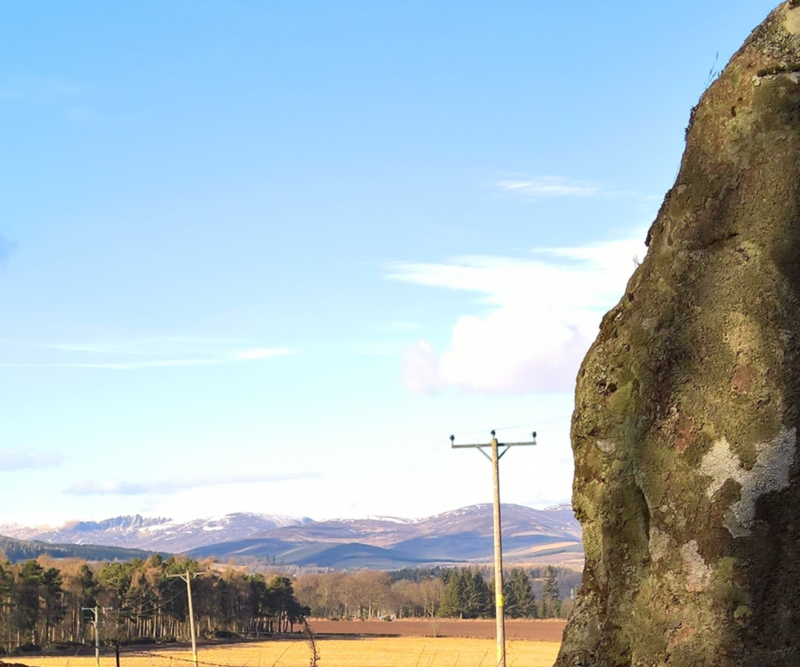 What little money is raised over the cost of the goods goes towards travel costs of the speaking tour campaign founder, Ruth Watson, as she takes the Keep Scotland the Brand message to groups around Scotland. Organisations wishing to find out more about the campaign are welcome to contact us to arrange a talk or to find out if there is one coming to a venue near you. All are welcome, regardless of perspective or outlook. This is not a party political campaign. It is a campaign for everyone. We all have to eat. If you wish to set up an online fundraiser to buy leaflets, for example, it should be clear who is holding the fundraiser and what the funds are to be used for (e.g. Peter Rabbit is raising funds to buy leaflets in support of Keep Scotland the Brand). It is important to contact the campaign before you set up any online crowdfunding or similar. We cannot endorse fundraisers which are not accurate or, as far as we can ascertain, legitimate. Our logo was designed with the help of the Bonny Badge Company. Keep Scotland the Brand has no financial interest in Bonny Badge and makes no money from her sales but we do love her designs! All designs are the copyright of Bonny Badge. All Rights Reserved. 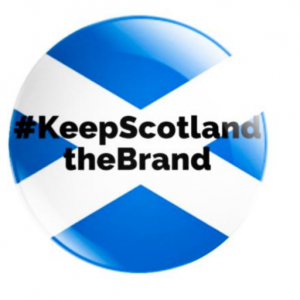 Keep Scotland the Brand and #keepScotlandtheBrand are the intellectual property of Ruth Watson. All Rights Reserved.